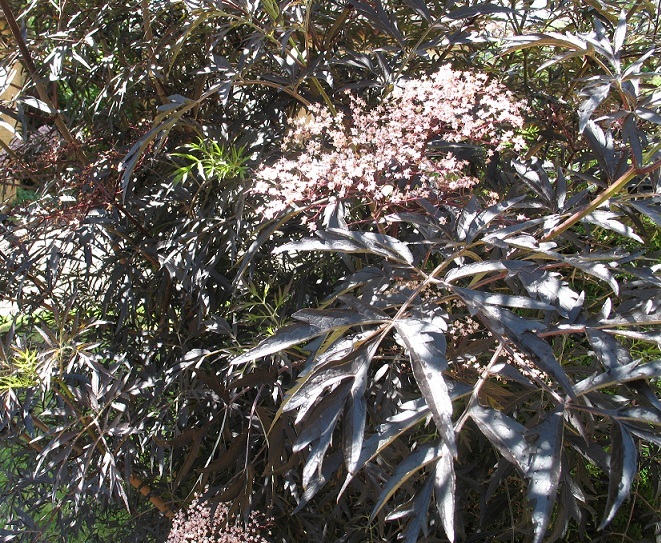 An architectural giant in the garden and one that ticks a lot of boxes for me as a designer is this one – Sambucus nigra (black elder). In flower now and looking striking with it’s lacy black foliage it makes a real focal point in a sunny border. Bred from our native elder it’s a hardy plant that will grow in any soil but beware it grows quickly and will reach 2- 3 metres in no time! Be brutal in early spring though and cut it back to ground level and you’ll be able to keep it to a manageable size. I like to plant bright or lime green shrubs next to it for contrasting effect.